My very first PF tek jar right before birthing. 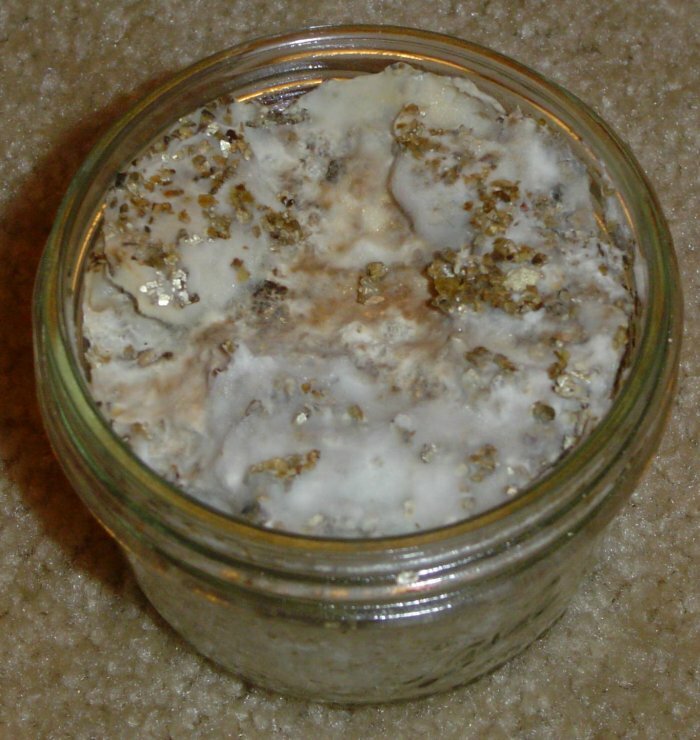 I'm guessing the yellowish hue in the middle of the mycelium is due to condensation (there was a fair amount inside the jar) rather than a contaminant. Does anyone think this is contaminated?